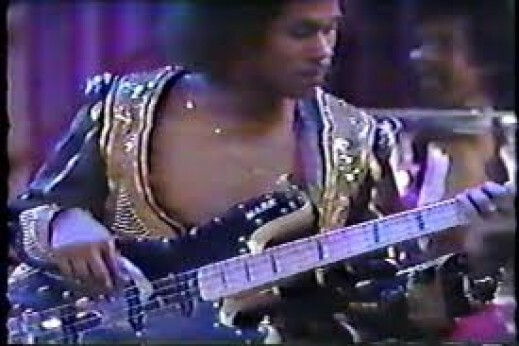 Mark “Hansolo” Adams, the bassist of Slave, and quite possibly the funkiest bass player of all time, has transitioned. He is gone, but will never be forgotten. I can remember the bassline from back in elementary school when Slide was released, and carries me until this day. Inside Out is poissibly my most used track in Old School Wednesdays, and Dreamin’ is my ringtone on my cell phone. That should tell you something, right there. If nothing else should grab you in this mix, it’s the transition between Inside Out and Watching You. Mark, you’re gone, but will never be forgotten. Of course, input is always welcome. Take it light. I remember when you were coming up with the OSW: THUMP mix. We traded some ideas and I remember you making a point that Mark Adams was essentially the backbone of that OSW. Fitting tribute to him here. Superb OSW, bruh… Was a pleasure discussing tracks over the last two days. U do it like no other… Working on mine tonite…. nice piece, i’ll put link on my blog! Great tribute. I remember these classics. A friend of mine were saying “Dang” That bass was thumping HARD on every cut! RIP Mr. Mark Adams and thank you.